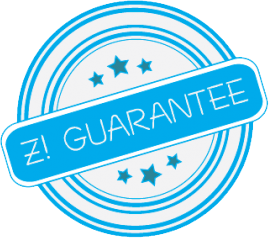 Club Z!, Inc. respects and appreciates the importance of privacy and security for our online customers. Any information obtained is used only by Club Z!, Inc. and its affiliate companies to contact consumers for potential marketing and current operational purposes. Persons who supply us with their telephone numbers or e-mail addresses on-line may receive telephone or e-mail contact from us with information concerning our program, promotions, new services, or upcoming educational events. Club Z!, Inc. is not responsible for the content of any third party linked site that is not owned by Club Z!, Inc. or its affiliate companies. Club Z!, Inc. provides links to you for your convenience only, and the inclusion of any link to a site not owned by Club Z!, Inc. is not an endorsement by Club Z!, Inc. of the site or its contents. Club Z!, Inc. assumes no responsibility for any other party’s site hyperlinked to the Club Z!, Inc. web site or in which any part of the Club Z!, Inc. web site has been hyperlinked.